The hiring market in Austin is plentiful these days, and we are definitely staying busy on our side. As always, we are glad to take on additional searches in order to help our clients identify and secure top talent for their open positions. Feel free to reach out to us with any relevant needs your company has now, or in the future! Thanks, from Ariana, Spencer & Sara! We have partnered with an industry-leading, Austin-based public company in its search for a high-caliber Director of Financial Reporting. This individual will serve as a hands-on leader and subject matter expert for all technical accounting issues, including implementation of new accounting standards, internal controls over financial reporting, and ongoing GAAP research and compliance within the company. Position will also play a crucial role in accounting for complex business transactions, including M&A, debt financings and restructurings, and stock transactions. Candidates should possess at least seven (7) years of professional experience, along with active CPA license. Previous experience in public accounting (Big 4 or national firm) is required, along with heavy exposure to technical accounting and financial reporting processes within a public company. Company has consistently been rated as one of the top places to work for in Austin, and offers a positive company culture, good work-life balance, and strong benefits package. Compensation will include base salary, annual bonus, stock equity, and 401K matching plan. Please reach out to us if you know someone who might be interested and qualified. Also, you can review our Current Job Openings here. And, follow us on LinkedIn. Top-Notch Assistant Controller or Accounting Manager candidate – recently relocated to Austin! Jordan recently moved to Austin with his wife, who accepted a promotion and relocation with her employer. Jordan is seeking a Senior Accountant or Accounting Manager position, and he is a CPA with 5 years of total experience, along with his Master’s degree in Accounting from a top-tier Accounting program (he’s currently working on transferring the CPA license to Texas). Jordan has extensive technical GAAP experience, in addition to a background leading small teams (General Ledger, A/P, A/R). He has utilized multiple accounting systems, including Great Plains and PeopleSoft, and was involved in an ERP conversion from QuickBooks. He is outstanding in person, with excellent communication skills. Jordan is truly a top-notch “A player” candidate with tons of potentials, so please let us know if your company, or someone else you know, has an open role that Jordan could be a fit for – we will be glad to introduce you! We are in the process of updating & upgrading our website. Now, clients have the ability to schedule a call to discuss an open position with the click of a button! There are also additional new features on the site as well as fresh blog articles! Please stay tuned during the next month as we roll out our brand new Career Advisory Services division!! “My interaction with Sara, was in one word, amazing! She asked all the correct questions in order to really understand me as a person, and what I was looking for in the next step in my career. She was very hands on every step of the process, which is what I was looking for from a recruiter. She found….click to contact Sara and find out more. Email: sara@hcsearchadvisors.com Follow us on LinkedIn! Greetings, and welcome to the final chapter of Tips for Hiring a Controller for a Small Business. In Part II of the previous section, I discussed various factors to consider when hiring, based on different Finance leadership structures within a company. Today, I will drill down into the crucial areas you must consider when hiring a Controller: Technical Skills, Soft Skills, Culture fit, and a few additional considerations that can’t be overlooked. Then, I’ll list several tips to make your hiring process timely, efficient, thorough, and successful! Industry experience – do you need someone with experience in your company’s particular industry or niche? Accounting systems/ERP – what system does your company use? Is the system complex enough that you need a Controller who has previously utilized that system? Do you have an ERP upgrade or implementation on the horizon? What are the most challenging focus areas of your business that need to be accounted for? Revenue, Billing, Expense control, Payroll, Job Costing, Internal Controls, Inventory, Regulatory or Debt Compliance, Reporting to Investors? Are there any Technical Accounting issues (Revenue, Purchase accounting, Stock compensation, etc.) that this Controller will need to be proficient dealing with? CPA or no CPA? Should your new Controller be a licensed CPA? Why or why not? Size and structure of company: Do you have multiple locations or entities? Any International operations? How many owners? Is there private equity or a VC backer? Size of Accounting team: How many staff will this person manage? If the team is large, make sure you are targeting candidates who have extensive, proven managerial skills. Should your Controller be hands-on, in the details, or more of a manager/delegator? What shape is your Accounting function in currently? Do you need a “fixer”, an improver of processes, or are the books in good shape for the new person coming in. A fixer is a unique individual – many candidates will say they are capable of being a fixer, but few actually are. Many people say that these two areas are most important when hiring. I agree to a certain extent; however, for a critical position such as Controller, technical skills must be taken seriously. Nevertheless, a candidate’s soft skills and culture fit within the company are usually what wins them the job. Communication and Interpersonal skills: Remember that your Controller is the face and voice of the Accounting department, both inside the company and externally facing. Question: Do you need this person heavily involved in your business operations, meeting with different departments on a regular basis, digging into details of day-to-day operations? If so, look at candidates’ past experiences in that capacity to gauge their capabilities. Leadership Style: should fit the needs of the team. There are many types of leaders: manager, mentor, teacher, hand-holder, strict, fear-inducing, demanding, encourager, motivator… the list goes on and on. What does your company need? Also, be sure to consider your company’s work environment, the intensity level, and hours required. Candidates should be made aware of this during the interview process. Location, location, location: How far away from the primary office do the candidates live? What are the real reasons each candidate is looking for a new job? Can they legitimately share their reasons for being interested in and excited about your company’s job? Salary requirements, current compensation, desired compensation? Are these in line with your company’s structure? Beware of hiring an overqualified candidate. Do they really want this job, or do they want any job that will pay them? Will they feel they are above some of the day-to-day work required? Pay close attention to the previous tenure listed on a candidate’s resume, and prepare to ask about reasons for job changes. Reference checks – what do their professional references say? See more discussion on this point below. Notice: If your outgoing Controller gives you a two week notice, ask for three. If they give you three weeks’ notice, ask for four! Knowledge Transfer: Ask your outgoing Controller if they will make themselves available for knowledge transfer, even after their last day on the job, and create a compensation structure that will incentivize them to do so. More knowledge transfer: Consider hiring a Contract Controller or a Consultant who can take over the majority of the Controller functions and act as a knowledge transfer base between the outgoing person and the new hire. Where to look: Exhaust many resources during the search process. The companies who consistently hire the best talent in the market utilize a combination of internal job postings, employee referral programs, and external recruiting firms in order to identify a deep, high-quality pool of talent. Interviews: Make your interview process thorough but efficient. Initial phone interviews are fine, but too many phone interviews for the same candidate seem burdensome, and tend to become repetitive while draining the excitement from the candidate. Invite them to meet you in person sooner rather than later! More Interviews: Make it clear to your company’s key decision makers that they need to be available, in the office, in order to interview the top candidates. Update your management team about the interview schedules as soon as they are confirmed, and send calendar invites. Team Input: Allow the key members of the Accounting staff to meet with the top Controller candidates. Most likely, they will not have the final say in who is hired, but it’s important to give them an opportunity to be involved in the process. Many times, you will receive thoughtful feedback from the staff members which wasn’t apparent during interviews by the management team. Communication: Keep the communication between your company and the candidates timely, consistent, and as transparent as possible. If a candidate feels like their time and efforts are not being respected, this could cause them to think less of your company as a future employer. Remember, the best candidates will usually have multiple options to consider! References: Perform thorough reference checks on your top candidates under consideration. These references should be fairly current (from within the last 5-6 years of employment at most). Lack of References? : If a Controller candidate does not have a list of at least four references willing to speak on their behalf, or they are unwilling to provide their reference list, you should consider this a major red flag. Supervisory References: At least one (preferably two) references should be previous supervisors. Either a CFO/VP Finance who the candidate reported to from a Controller role, or a Controller who managed the candidate while they were in a lower-level position. If the candidate has references from a public accounting firm, make sure that the reference was directly involved on the same client engagements as your candidate. Strong Offer: When you are ready to make an offer to the chosen candidate, do not make a “lowball” offer. I repeat, DO.NOT.MAKE.A.LOWBALL.OFFER. If you expect the candidate to negotiate starting salary, or other component of the comp package, it’s okay to start at a lower figure than the high-point you can ultimately reach. However, starting a negotiation with a surprisingly low number, which in many cases is perceived as an insult to the candidate, only will deflate, confuse, and anger the candidate while significantly lowering your chances of successfully hiring them. Make your initial offer one that is respectable and logically justifiable, rather than using it as a negotiating tactic. I hope this article is useful to any small business owner or executive in the process of hiring a Controller. Feel free to reach out to spencer@hcsearchadvisors.com with questions or feedback. Thanks for reading! Section 1 – Why is the position open? Before hiring, plan. Before planning, reflect. For any small company, the Controller is a crucial member of the business and leadership team. While larger organizations tend to limit the scope of a Controller’s role, in a smaller business model, the Controller position has the ability to impact the company in many areas. 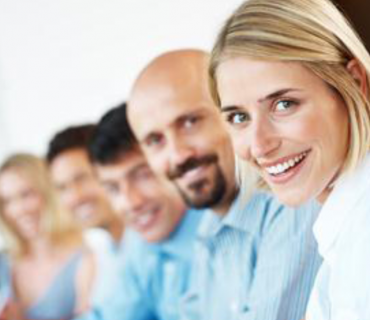 Our team has placed countless Controllers over the course of many years in the Accounting/Finance recruiting industry. Based on these experiences, we have created a list of questions, talking points, and solutions for a small company to utilize when hiring a Controller. For purposes of this article, we will define a “small company” here by identifying three criteria: Ownership Structure, Number of Employees, and Annual Revenues. These are the three factors that our company considers internally when referring to the general sizes (small, mid-sized, large, etc.) of our clients in the Austin market. 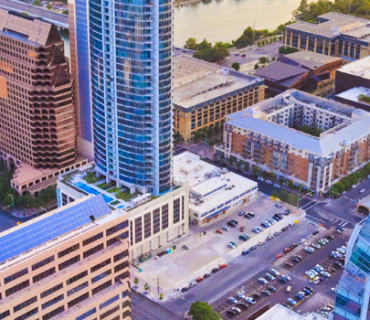 While the definition “small company” can vary from person-to-person and market-to-market, the criteria listed below is a broad but generally accepted definition of a small company in Austin, Texas. Growth is great! But it also has to be managed properly from many different perspectives. 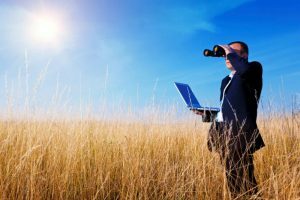 As a company expands, whether it be through organic growth or acquisition (or a combination of the two), the scope of the Controller’s job responsibilities will increase just as much, if not more, than any other position within the company. You need the right person in place from a leadership, technical, and operational standpoint. A relevant situation (that we will use as an example here) occurred at a Software client of ours in Austin recently. The company’s revenues had almost doubled from $45mm to $80mm over an 18 month period, during which they hired an additional 100 employees to perform various functions in multiple locations. The company had also taken on a Private Equity firm as an investor, so there was not only an increase in business volume, but more frequent and complex financial reporting as required by the PE firm. Enhanced system of Internal controls; Selection and implementation of a new ERP system; More automated processes to create efficiencies; More sophisticated reporting system for both internal and external use; Increased technical accounting knowledge at the request of the new Audit firm; Strong managerial skills due to growth of accounting team; CPA designation necessary to satisfy the PE firm; Integration of newly-acquired entities. Our client had reached new heights and experienced great success due to the growth of their products and business. However, they made the correct choice (however difficult) of upgrading the Controller position and will benefit from this in the long run. Is there discord within the company that affected the outgoing Controller? If yes, where is the source? These are tough questions to ask and may be awkward for the outgoing Controller to answer, but they need to be identified and remediated quickly, or your new Controller may experience the same challenge. Was he/she given the resources and support to succeed in the role? It’s important for the Controller position at your company to have the systems, staff, and authority to be successful in the job they are paid to do. One of the most common issues that I hear from job-seeking Controllers is that their current company will not let them hire enough staff, or the appropriate level of staff. Was this person paid competitively according to market standards (not just base salary, but also periodic bonus & other incentives, benefits package, 401K match, etc.)? Since you don’t hire a new Controller very often (at least hopefully not), it’s always good to do an in-depth market analysis prior to hiring for this key position. If your outgoing Controller’s compensation package was off-base and not competitive in the market, chances are that you will be going into a hiring situation with highly unprepared. Consult with peers who also own businesses, executive recruiters, CPA firms, and Finance executives that you know in order to be as informed as possible prior to hiring. Are there growth opportunities within the company for this position, or a clear “next step up”? Was the outgoing Controller bored, unchallenged, or feeling “stuck” in the position? Did he or she feel like there was no near-term opportunity for advancement or significant pay raise at your company? If so, there may be some options for you to consider, based on the nature and structure of your business. Does your company have a CFO? 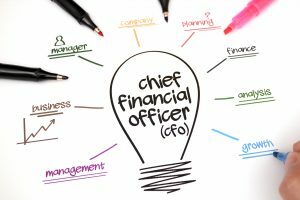 And if so, how are the duties divided between the CFO and Controller? Until now, has the CFO been handling the new/incoming Controller’s responsibilities? Stay tuned for the remainder of Section 1, Tips for Hiring a Controller for a Small Business. When I moved to Austin from my small hometown in West Texas 5 years ago, I was jobless with just a small savings, and a dream of making it in the “Big City”. I quickly hit the proverbial pavement and went on an applying frenzy, calling three of the staffing firms here in Austin. Within a day or two, I was called in to interview with one of the firms for a temporary role with one of their clients. After my interview I was offered a job. However, they didn’t offer me the temporary role I had interviewed for, but a temporary role within the agency itself! I worked as a temp for the staffing firm for six months. Then, they offered me a permanent role and the rest is history….I’ve been in the recruiting industry ever since! Not only do I love temp and contract labor because I work in the industry, but it gave me my start in this business to begin with! Whether you are a company who is considering hiring temporary help, or a candidate who is contemplating accepting a temporary role, the below Top Reasons to Go Temp will help you decide if it’s right for you. You’re in a Crunch! Time is of the essence. Your key employee just gave notice, your boss is asking about the deadline on that special project, your team is scrambling, and your assistant is on maternity leave. Help! This would be a perfect time to call your favorite recruiter and ask her to send reinforcements in the form of temp help, STAT! Don’t have a favorite recruiter? Get one quick! It never hurts to have a recruiter on speed dial. You’re Uncertain! Your last permanent hire was a dud. They oversold themselves in the interview process, or maybe they just weren’t a culture fit. You’re feeling a bit jaded and want to make sure the next hire is the right one. This is where the “Try Before You Buy” model of temp-to-hire might be a great idea. Less Hassle! With temporary labor, the candidate is employed by the agency, not you. That means no paperwork and no Payroll, Insurance, or Taxes for you to take care of – the agency handles it. The agency is also responsible for hiring, coaching, and termination if needed. If the candidate isn’t working out, you simply call the agency and ask them to end the assignment. 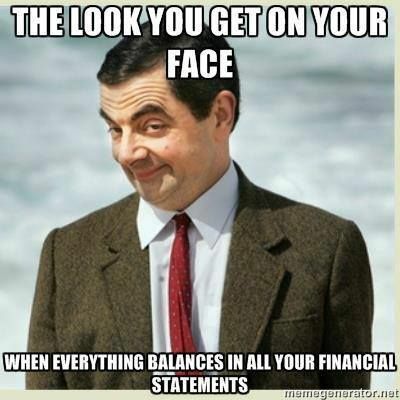 Easier on the Finances! Fact – The difference in placement cost between hiring a permanent employee and hiring by Temp to Perm through an agency is very miniscule in the long run. However, not every company will want to shell out 20-25% of a candidate’s salary in perm placement fees in one big payment – there are multiple reasons for this. By utilizing Temp to Hire, you can pay as you go, and the cost is spread out during the conversion period! Vacations, Maternity leaves, and Quick Projects! Hiring a temp is a perfect way to cover the front desk or to get payroll done when an employee goes on vacation or maternity leave. What about that big Excel project you’ve been wanting to tackle? Call your recruiter and ask for a temp Excel guru! You Need a Job! You just moved to town and need to find a job with a paycheck! Take on a couple of short-time roles to learn the different areas of town, make some new friends and business contacts, and keep the cash flow moving in the right direction while you get familiar with the market. You’re Uncertain! You stayed home for a few years to raise children, and you are ready to get out there again, but you’re not sure what your next big step should be. Dip your toes into a couple of temp roles just to get back in the swing of things, and decide which course you want to take. You never know….one of these could turn into a great full time role! Get your foot in the door! Whether you just graduated from college or you are thinking of changing careers, working a temp position can get your foot in the door with some great companies and also add valuable experience to your resume. Think of it as a paid internship. Broaden your Skillset! Working a temp role is a great way to pick up new skills and industry experience. You never how this might open doors to new opportunities in the future. Keep Busy! As a Recruiter, I can tell you the hardest candidates to find are the good part-timers! If you are semi-retired, a stay-at-home parent who wants to keep your skill set sharp, or have another part-time professional endeavor but still have room for more, call your recruiter and tell them you are open to temporary work. Temping can be a fun way to meet new people, stay busy, and make money in the process! While being a temp, or hiring one, can be an excellent option for candidates and employers, it isn’t right for everyone. Below are a couple of things to keep in mind. The best time to use the Temp-to-Hire option is when you need someone right away, it makes sense for your budget, or when you have been burned in the past and want to be certain to find the right fit. The drawback is that when you use Temp-to-Hire, you limit your candidate pool to candidates who are currently unemployed. Employed candidates are excluded from consideration, since employed candidates will typically not leave their full-time employment for a Temp-to-Hire role. Try this! If you are looking for a full-time employee but you are in a crunch, you might consider bringing in a temp to backfill, then redistribute work while you conduct a search for a permanent employee. Picking up a temporary role is usually a great route to take, if it is done correctly! Remember that you are employed by the agency, not the client company you are working for. This means you won’t have the same benefits and privileges as a full-time employee would. If the temp role you are working does not have potential to eventually turn into a full-time permanent role, continue to look for permanent employment on the side, in order to cover your bases. Remember – giving notice before leaving any job is a must! Ask your recruiter how much notice is appropriate, in the event you find permanent employment. Please note that the jobs listed on our “Current Jobs” page are all permanent openings. However, we also recruit and place candidates into Temporary or Contract positions. Many times, these positions are “Temp-to-Perm” with the ability to convert into full-time employment. Since temp & contract openings typically move much faster than permanent openings, it’s challenging for us to keep our online job board updated. Here are some of the Temp & Contract job openings that our clients frequently need help with. Please contact us if you are interested in these types of employment opportunities, or if your company is in need of Temp, Contract, or Temp-to-Perm candidates. We frequently share updates on our LinkedIn Company Page (https://www.linkedin.com/company/hill-country-search-advisors) about our latest Job Openings, placements at Client Companies, interesting articles, and other recent & relevant market info. Please follow us and stay informed!